Worried your Mini Indoor Golf Game won't make it in time? Here's a quick breakdown of how we ship to know when your game will get to you. USPS does not guarantee to arrive within the 2 -3-day window, know there can be delays. Fed Ex Home Delivery does not deliver to PO Boxes or Business Addresses. Orders placed after 2pm EST ship the next business day. Orders ship Monday - Friday, so orders placed after 2pm EST on Friday will ship on Monday. We do ship USPS priority mail on Saturdays. These shipping times are estimated and apply only to deliveries made within the contiguous US, we can’t guarantee they will get there, but we do the best we can! 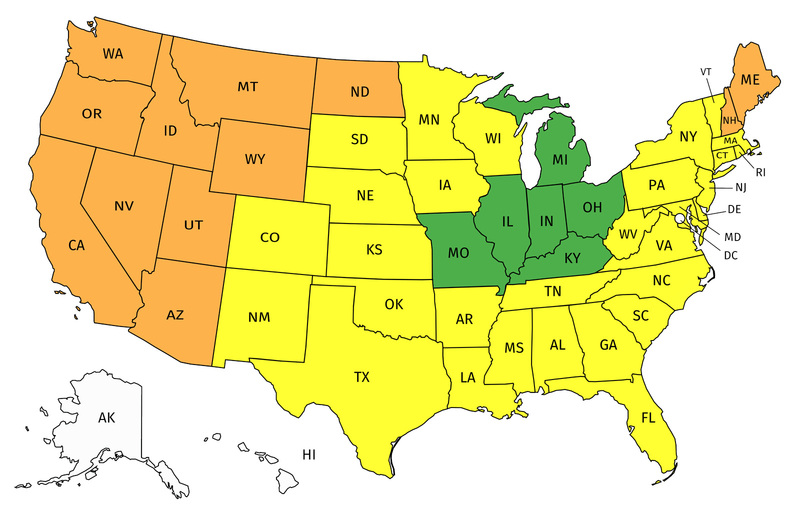 Check out this map for the expected delivery timeline for Fed Ex Home Delivery shipments.